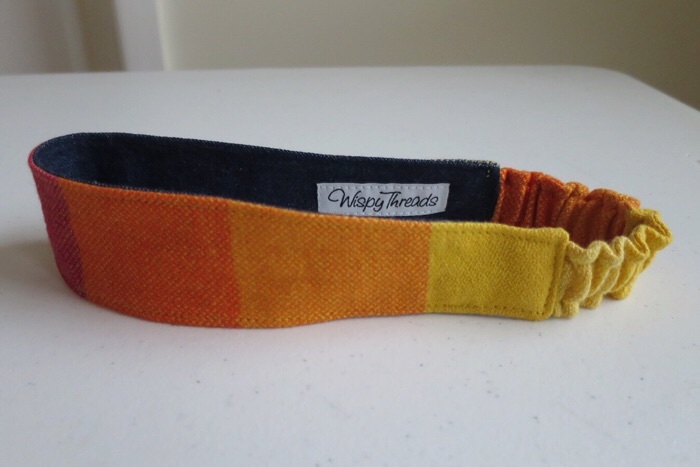 This gleam of the sun headband is made from a Girasol babywearing wrap of the same name. 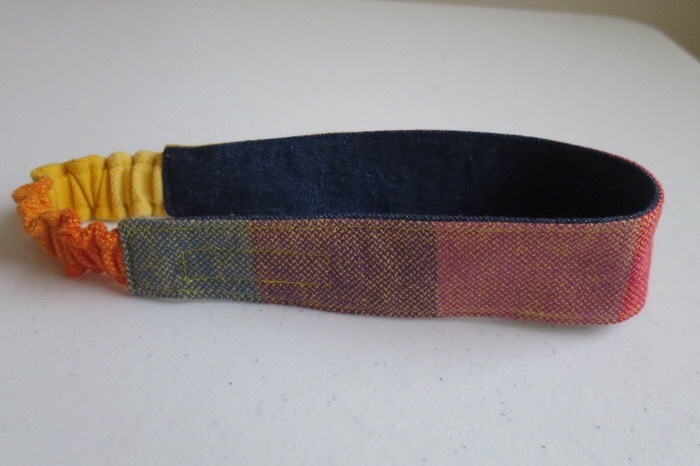 The inside fabric is a medium weight denim. Elastic is used to provide a comfortable fit for a range of head sizes and measures ~46 cm unstretched and ~56 cm at full stretch. These headbands should comfortably fit children approximately 2 to 6 years old.